Barbour Maud Sporting Tattersall Shirt Classic Collar. 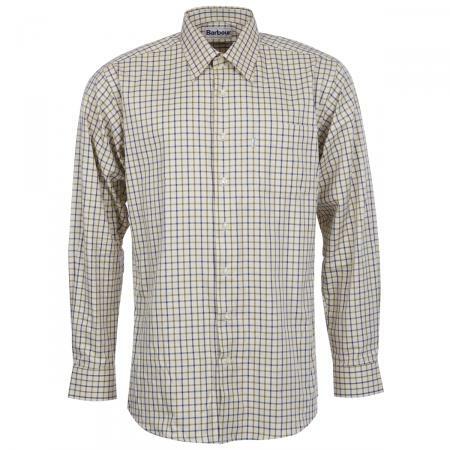 Designed to allow unrestricted movement while shooting, the Maud is a classic men’s sporting shirt made from 100% cotton. This smart shirt feels luxuriously soft and warm to wear and is cut for a relaxed fit with a generous sleeve and practical longer length. Neat pearlised buttons, a classic collar, a single chest pocket and a timeless Tattersall check complete the traditional country look. Available in navy or red and khaki sporting tattersall as shown. See Barbour Shirt Size Guide Below.SALE!